“Hamdule Industries” is known as the leading name in the industry, integrated in the year 2011. 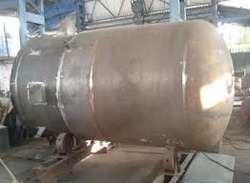 Our company is noted as the foremost manufacturer, exporter and supplier of superior quality array of Industrial Boilers, Pressure Vessels, Tanks and Chimneys. We also provide Boiler Installation Services. All our offered products are designed with utmost precision by making use of superior grade components that has been obtained from the very reputed industrial source. We export our products South East Asia, Middle East and Africa. With our quality range of products, we have created a niche in the markets. They have studied the requirements of the clients over a period of time and devised customized solutions for the relevant industries. Products offered by us are available in various sizes, dimensions and other related specifications as per the variegated needs of the patrons. Customers are availed this range in the most comprehensive and industry leading prices.